(Francisco Kjolseth | The Salt Lake Tribune) Veronica Pome’e, the first Polynesian woman to be featured in Sports Illustrated's swimsuit edition, visits Utah to speak at the sixth annual National Violence Pacific Island Prevention Conference held in Salt Lake City April 11-13, 2019. (Francisco Kjolseth | The Salt Lake Tribune) Veronica Pome’e, the first Polynesian woman to be featured in Sports Illustrated's swimsuit edition, visits Utah to speak at the sixth annual National Violence Pacific Island Prevention Conference held in Salt Lake City April 11-13, 2019. (Francisco Kjolseth | The Salt Lake Tribune) Veronica Pome’e, the first Polynesian woman to be featured in Sports Illustrated's swimsuit edition, visits Utah to speak at the sixth annual National Pacific Island Violence Prevention Conference held in Salt Lake City April 11-13, 2019. (Francisco Kjolseth | The Salt Lake Tribune) Veronica Pome’e, the first Polynesian woman to be featured in Sports Illustrated's swimsuit edition, visits Utah to speak at the sixth annual National Pacific Island Violence Prevention Conference held in Salt Lake City April 11-13, 2019. 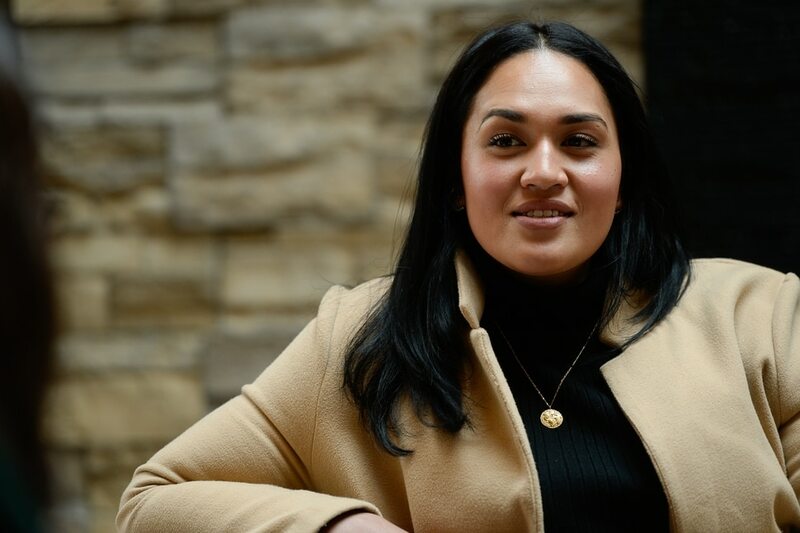 (Francisco Kjolseth | The Salt Lake Tribune) Veronica Pome’e, the first Polynesian woman to be featured in Sports Illustrated's swimsuit edition, visits Utah to speak at the sixth annual National Pacific Island Violence Prevention Conference held in Salt Lake City April 11-13, 2019. (Francisco Kjolseth | The Salt Lake Tribune) Veronica Pome’e, the first Polynesian woman to be featured in Sports Illustrated's swimsuit edition, visits Utah to speak at the sixth annual National Pacific Island Violence Prevention Conference held in Salt Lake City April 11-13, 2019. (Francisco Kjolseth | The Salt Lake Tribune) Veronica Pome’e, the first Polynesian woman to be featured in Sports Illustrated's swimsuit edition, visits Utah to speak at the sixth annual National Pacific Island Violence Prevention Conference held in Salt Lake City April 11-13, 2019. (Francisco Kjolseth | The Salt Lake Tribune) Veronica Pome’e, the first Polynesian woman to be featured in Sports Illustrated's swimsuit edition, visits Utah to speak at the sixth annual National Pacific Island Violence Prevention Conference held in Salt Lake City April 11-13, 2019. (Francisco Kjolseth | The Salt Lake Tribune) Veronica Pome’e, the first Polynesian woman to be featured in Sports Illustrated's swimsuit edition, visits Utah to speak at the sixth annual National Pacific Island Violence Prevention Conference held in Salt Lake City April 11-13, 2019. (Francisco Kjolseth | The Salt Lake Tribune) Veronica Pome’e, the first Polynesian woman to be featured in Sports Illustrated's swimsuit edition, visits Utah to speak at the sixth annual National Pacific Island Violence Prevention Conference held in Salt Lake City April 11-13, 2019. (Francisco Kjolseth | The Salt Lake Tribune) Veronica Pome’e, the first Polynesian woman to be featured in Sports Illustrated's swimsuit edition, visits Utah to speak at the sixth annual National Pacific Island Violence Prevention Conference held in Salt Lake City April 11-13, 2019. (Francisco Kjolseth | The Salt Lake Tribune) Veronica Pome’e, the first Polynesian woman to be featured in Sports Illustrated's swimsuit edition, visits Utah to speak at the sixth annual National Pacific Island Violence Prevention Conference held in Salt Lake City April 11-13, 2019. (Francisco Kjolseth | The Salt Lake Tribune) Veronica Pome’e, the first Polynesian woman to be featured in Sports Illustrated's swimsuit edition, visits Utah to speak at the sixth annual National Pacific Island Violence Prevention Conference held in Salt Lake City April 11-13, 2019. (Francisco Kjolseth | The Salt Lake Tribune) Veronica Pome’e, the first Polynesian woman to be featured in Sports Illustrated's swimsuit edition, visits Utah to speak at the 6th Annual National Violence Pacific Island Prevention Conference held in Salt Lake City April 11-13, 2019. (Francisco Kjolseth | The Salt Lake Tribune) Veronica Pome’e, the first Polynesian woman to be featured in Sports Illustrated's swimsuit edition, visits Utah to speak at the sixth annual National Pacific Island Violence Prevention Conference held in Salt Lake City April 11-13, 2019. (Francisco Kjolseth | The Salt Lake Tribune) Veronica Pome’e, the first Polynesian woman to be featured in Sports Illustrated's swimsuit edition, visits Utah to speak at the sixth annual National Pacific Island Violence Prevention Conference held in Salt Lake City April 11-13, 2019. (Francisco Kjolseth | The Salt Lake Tribune) Veronica Pome’e, the first Polynesian woman to be featured in Sports Illustrated's swimsuit edition, visits Utah to speak at the sixth annual National Pacific Island Violence Prevention Conference held in Salt Lake City April 11-13, 2019. (Francisco Kjolseth | The Salt Lake Tribune) Veronica Pome’e, the first Polynesian woman to be featured in Sports Illustrated's swimsuit edition, visits Utah to speak at the sixth annual National Pacific Island Violence Prevention Conference held in Salt Lake City April 11-13, 2019. When Veronica Pome’e was 13, she’d sit in front of her bathroom mirror and rub bleach into the brown skin on her arms. She wanted to look lighter, less Polynesian and more like the women she saw in magazines. She thought she was too dark and too tall and too exotic and too heavy to ever join them. So she tried to look how people thought she should. She started wearing girdles, bound so tight it was hard to breathe, and when the bleach didn’t work, she coated her skin in makeup. She straightened her hair. She tried to stay in the background. She stooped down. Pome’e, now 29, is a model with a lucrative contract in New York. Next month, she’ll be the first Polynesian woman to be featured in Sports Illustrated’s popular swimsuit edition. And she’ll be the only plus-size figure out of six finalists who competed for a spot in the pages, down from 10,000 who sent in audition tapes. (Courtesy of Sports Illustrated) Veronica Pome’e, 29, is a California model whose parents came to the United States from Tonga. She is the first Polynesian model to appear in the swimsuit edition of Sports Illustrated. This promotional image is from a photo shoot that will appear in the magazine in May. She was once labeled ‘the dumbest girl’ in class. Now, she’s been inaugurated as the president of Utah Valley University. For Pome’e, the discussion of identity and diversity she wants to spur — and the perception of herself that she’s grown to embrace — intersects with weight, color, culture and femininity. But she also wants people to know about her upbringing and how it was shaped by domestic violence that touched all of those dimensions. Growing up in California, Pome’e said, she saw her mother and other women in her family appear at dinner with red handprints on their faces and bruises on their arms. If she broke curfew, Pome’e added, she would be slapped around, too. She saw signs of domestic violence, too, when she visited cousins in Utah for reunions and weddings. In college, she took a class that explained relationship violence and how it can continue in a cycle. She realized she treated her five siblings the same way her parents treated each other. She decided to address it. Her motivation for talking openly about her experience is the same reason she wants to appear in magazines, with what she calls “my belly and my stretch marks.” She wants to be real and transparent and embrace all that she is and where she came from. She’s not embarrassed. She doesn’t consider those things to be flaws. She looks up to her mom, who had a long career as a police officer. She’s started an environmental charity in the Pacific Islands to give back. In fact, she was recruited to be a model while volunteering at a fashion show to raise money for a homeless shelter. Pome’e encourages other models who look like her to understand they should be on stage or featured on glossy pages — just the way they are. The sixth annual National Pacific Island Violence Prevention Conference runs through Saturday. • Model Veronica Pome’e will speak Friday at 10:30 a.m.
• A community law enforcement panel — featuring Salt Lake City Police Chief Mike Brown, West Valley City Police Chief Colleen Jacobs and Salt Lake County Sheriff Rosie Rivera — will speak Friday at 12:15 p.m. about diversity on police forces. • A panel of Pacific Island religious leaders will present Saturday at 1 p.m.
Tickets cost between $10-$150 and can be purchased at https://bit.ly/2DaTIIj.